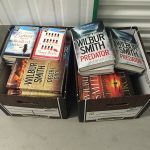 This month, we asked Off the Record to write a guest blog about their book club. “Off the Record is a charity which provides free mental health support and information to 11-25 year olds in Bristol and South Gloucestershire. As well as providing 1:1 counselling, we provide a wide range of services, projects and groups around the local area. We are dedicated to promoting and improving mental health and wellbeing amongst young people. 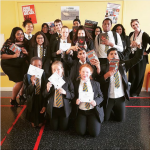 Every month Off the Record run a Book Club for 16-25 year olds which, in collaboration with Give a Book, provides free books to keep and discuss. 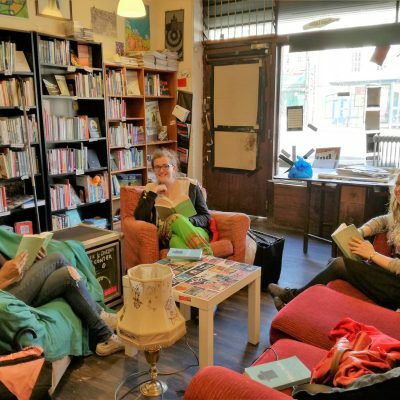 The Book Club is held at The Hydra Book Shop in Bristol’s Old Market, a safe place for young people to gather and meet like-minded book-lovers, as well as read titles they may not have previously considered. 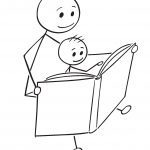 Each month we each select three book choices and run a Doodle Poll to vote for our top choice. This month, we read The Secrets of Happiness by Lucy Diamond. It was a surprising discovery for those of us who had certain pre-conceived notions of what it would be about. Like a lot of chick-lit, it was warm and engaging. But instead of the key focus being a romantic entanglement, it focused on each character’s individual search for happiness, whatever that entailed. Any romance was simply a beneficial by-product of these life choices, and was a refreshing turn. In the group we discussed our expectations of the book versus the reality. After chatting about the characters we identified most with and why, we discussed what makes each of us happy. It was a lovely way to end the group and brought some really positive topics to light. Thanks to Off the Record for their blog.